Diabetes is a serious medical condition which affects millions in the United States. According to the CDC, more than 100 million Americans are living with diabetes or prediabetes. The disease is chronic and impairs the body’s ability to produce or respond to insulin, a hormone that allows glucose (sugar) to be used as energy. This impairment results in the abnormal metabolism of carbohydrates and causes spikes in glucose levels. People with diabetes often experience sudden changes in their blood sugar levels, which may affect their behavior behind the wheel. Those with diabetes in Florida may find themselves unfairly targeted for DUI. Unfortunately, the chemical changes that occur in a person’s breath as a result of diabetes can lead to a false high positive on a DUI breath test, which can lead to a DUI arrest. If you believe that your diabetes may have influenced your DUI charge, be sure to explore diabetes as a possible defense with your DUI defense lawyer. People living with diabetes often experience hypoglycemia, which is a state of low blood sugar. Hypoglycemia can cause a person to show a variety of symptoms, many of which might resemble symptoms of intoxication, which can spark an officer’s suspicion. Additionally, diabetics may undergo ketosis, a metabolic state in which the body produces elevated levels of ketones. Ketones are waste substances the liver produces when the body uses fat stores for energy. Occasionally, ketones are excreted in a person’s breath which can trigger a positive reading on a breath test. What does hypoglycemia look like? Does the foregoing sound familiar to you? Are these symptoms some of the same things the police officer wrote in his report where he alleges you were drunk? As you can imagine, experiencing hypoglycemia behind the wheel can be concerning, but it is not an indication of intoxication. A nearby cop observing a driver having a hypoglycemic episode may jump to the conclusion that the driver is under the influence of alcohol and/or drugs. As a result, the diabetic driver may be subject to a DUI investigation. In this scenario, the driver’s behavior does not only resemble that of an intoxicated driver, but his diabetes may also elevate the level of isopropyl alcohol in his breath. This alcohol is different from the ethyl alcohol breath test devices detect when determining a person’s BAC; however, the breath tests law enforcement officers use have no way of differentiating between isopropyl and ethyl alcohol, meaning that the diabetic DUI suspect can achieve a high BAC without actually being intoxicated. Those who do not have diabetes may also experience a drop in their blood glucose levels, which may lead to a false positive DUI test. If this has happened to you, you are urged to seek legal counsel right away from an attorney who understands the effects of hypoglycemia in a DUI case. It is not illegal to go out, have a drink with dinner, and drive home afterward. Those who live with diabetes should not live with the fear that they will be arrested for DUI for drinking responsibly. Still, a DUI arrest because of diabetes is a common occurrence. If you face charges for DUI and believe it was your diabetes that did you in, discuss your case with a knowledgeable DUI lawyer with The Umansky Law Firm. We will sometimes hire a physician expert or toxicologist to testify about how symptoms related to Diabetes can make someone look impaired by alcohol when that is not the fact. 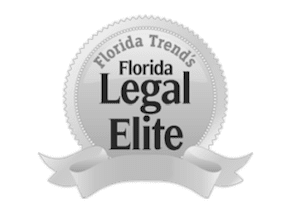 At our criminal defense firm, our lawyers have over 100 years of combined experience defending people who face DUI charges in Orlando and Central Florida. Our lawyers thoroughly investigate each case to construct solid arguments that protect their clients and achieve desired case results. Our goal is to challenge the breathalyzer test results as evidence of DUI for any person with diabetes. We hold a strong reputation throughout Central Florida for providing comprehensive DUI defense and legal care. Be sure to seek a free consultation at any time by filling out our contact form or calling (407) 228-3838.